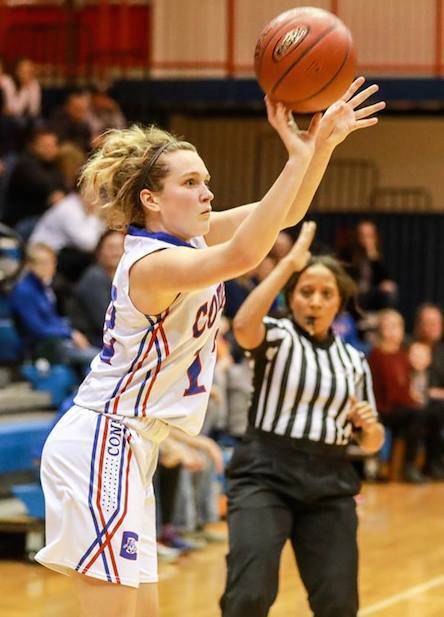 After winning five of six games in holiday tournaments over the last two weeks, Conner girls’ basketball coach Aaron Stamm likes the road the Cougars are on going into the 2018 portion of their schedule. The Cougars (11-2) ended the successful two-week stretch with a 51-41 win over Highlands (9-5) in the championship final of the LaRosa’s Holiday Classic on Friday afternoon at Conner. It was a game of runs by both teams. Conner outscored Highlands, 14-4, in the second quarter to take a 30-12 halftime lead. But the Bluebirds opened the third quarter with a 16-0 run and got the margin down to 32-31 on a 3-point goal by junior guard Zoie Barth with 1:45 left in that frame. The Cougars pulled ahead once again and took a 45-32 lead when junior forward Maddie Burcham made two three throws with 5:39 left in the fourth quarter. Highlands ran off seven straight points after that, but the home team hit six free throws in the final two minutes to nail down the victory. Hurst, Burcham and junior guard Savannah Jordan have been playing varsity basketball for Conner since the eighth grade. Their experience gave the home team an edge over Highlands, which has several varsity newcomers in its player rotation. 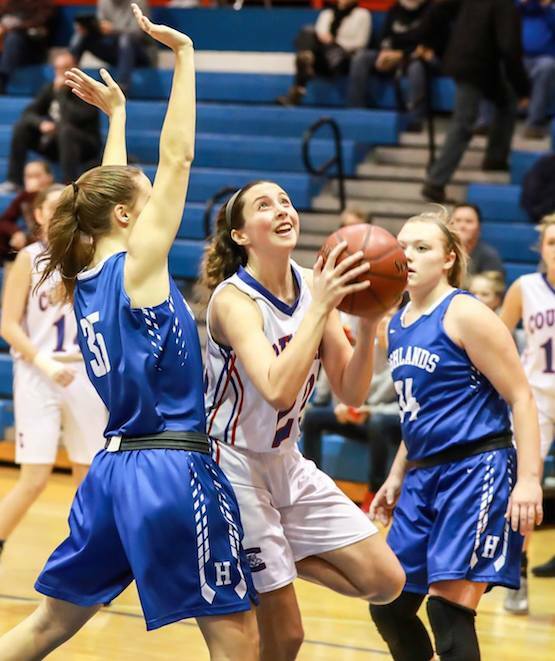 Barth scored 10 of her game-high 14 points during Highlands’ comeback in the third quarter. She was the only double-figure scorer for the Bluebirds, who shot 27.7 percent (15 of 54) from the field and committed 13 turnovers. Conner shot 32.5 percent (13 of 40) from the field and outscored Highlands, 19-8, at the free throw line. The Cougars’ leading scorers were Hurst with 13 points and Jordan with 10. Burcham finished with nine points and a game-high 10 rebounds. Conner also got 13 points and eight rebounds off the bench from senior forward Blair Kennedy and junior guard Joy Strange. Conner will have the best record (11-2) in 9th Region girls’ basketball going into the new year, but Stamm said there’s no clear-cut favorite this early in the season. CONNER (11-2): Hurst 4 2 13, Jordan 3 2 10, Burcham 1 7 9, Kennedy 2 2 7, Drummond 1 0 2, Strange 0 6 6. Mclemore 2 0 4. Totals: 13 19 41. 3-pointers: H — Hayes, Barth, Hinegardner. C — Hurst 3, Jordan 2, Kennedy. Conner — Courtney Hurst (MVP), Savannah Jordan, Joy Strange, Maddie Burcham. Highlands — Zoie Barth, Chloe Jansen, Rory O’Hara. Cooper — Lexi Held, Asyah Mitchell. Notre Dame — Danielle Rennekamp.